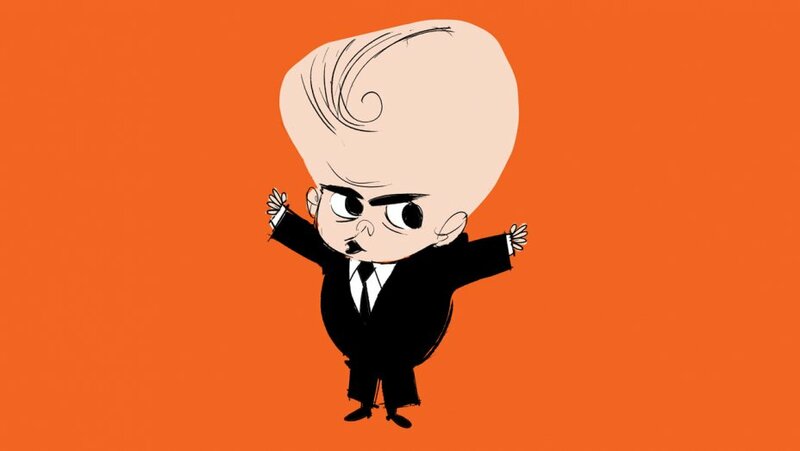 Variety has an article about Tom McGrath’s upcoming animated comedy, Boss Baby which stars Alec Baldwin and is set for release next March. A riled up audience at the Annecy International Animation Festival in the French Alps was the first in the world to see footage of Boss Baby, the upcoming DreamWorks Animation comedy from Madagascar and Megamind director Tom McGrath, who spoke for more than an hour about his latest creation. With Alec Baldwin voicing the titular bigwig in diapers, and Jimmy Kimmel and Lisa Kudrow playing the parents, Boss Baby is told through the eyes of a 7-year-old boy whose life is turned upside-down by the arrival of a new brother. The catch is that the little cutie can talk and do plenty of other things, like carry a briefcase and order everyone else around. Eventually, the two bros team up to take on the evil Puppy Co., which is filling the world with baby dogs and taking the spotlight away from humans. Slated for domestic release by 20th Century Fox in March 2017, Boss Baby looks to be another case of DreamWorks and McGrath joining forces for what could be a clever and meaningful cartoon with broad appeal.